PLDT reintroduces HOME plans in Cebu. Check out the updates that you need to know about the country's largest broadband and digital service. PLDT Home cements its place as the market leader being the first to introduce the 1 Gbps plan dubbed as the GIGA PLAN. The unreleased TVC of the said service has been shown to Cebu media in the company's recent visit here in Metro Cebu. For the record, PLDT HOME claims that it is the number 1 service provider in the country with over 70 percent of the market share. 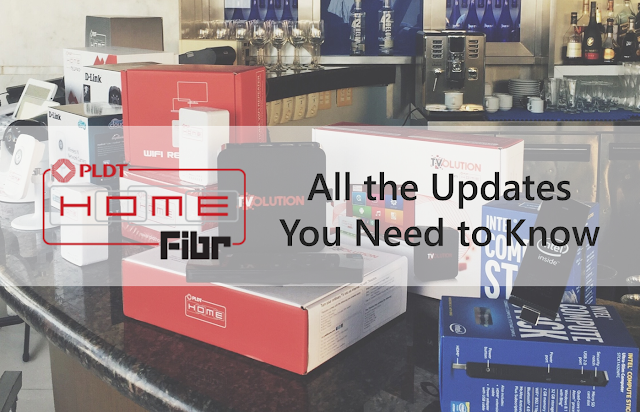 And as the race of being the fastest internet provider begins, here are the updates you need to know about PLDT Home and its FIBR Plans. The company's current residential and SME arm, the PLDT Home, boasts the Fibr plan with speeds ranging from 8 Mbps to 20 Mbps. The are also Fibr plans that pushes the speed up to 100 Mbps or even 200 Mbps. If you are currently in a Home DSL plan, you can upgrade it to a FIBR plan. However, PLDT is only offering the upgrade for selected villages and condominiums in the country. Topping the list are Beverly Hills Subdivision, Cebu Royale Estate and Ajoya Residences. If your village is listed above, you can avail the service. What are the PLDT Home Fibr Plans? The base plan is called the FIBR LITE Plan 1899 which gives you a speed of 20 Mbps with 80GB data cap. Adding Php 400 will give you access to Triple Play and Cignal Basic service. The FIBR PLAN 3500 also offers up to 20 Mbps speed of unlimted download and uploads. It is also bundled with free Triple Play Plus. The FIBR PLAN 5800 comes with up to 50 Mbps speed with Free Triple Play Premier; while the FIBR PLAN 8800 offers 100 Mbps speed with Triple Play Premier. For the higher-end customers, there's also a FIBR PLAN 20,000 with Triple Play Premier and 200 Mbps of speed. All FIBR plans have a lock-in period of 30 months. So how much is the FIBR GIGA Plan? Considering that PLDT is still offering a FIBR 20000 plan, we are guessing that it'll ask a little more than 20K price standpoint for the GIGA plan. However, there's also a possibility that PLDT will lower the price of its FIBR line-up making the GIGA PLAN hit the Php 10,000 mark? The latter is just a ballpark figure. What is Triple Play? Quad Play? Basically, PLDT tethered its Home brand with "Triple Play" based on the their categorized services in landline, broadband and cable TV. Now they are also offering mobile solutions in partnership with its wireless arm, Smart, to offer mobile devices with a minimum charge on top of the monthly service fee. Example, you can avail a Samsung Galaxy V if you add Php 299 (or an iPhone 4s if you add Php 600) on top of your PLDT Home MSF. The inclusion of mobility of their existing roster of services is dubbed as the Quad Play. 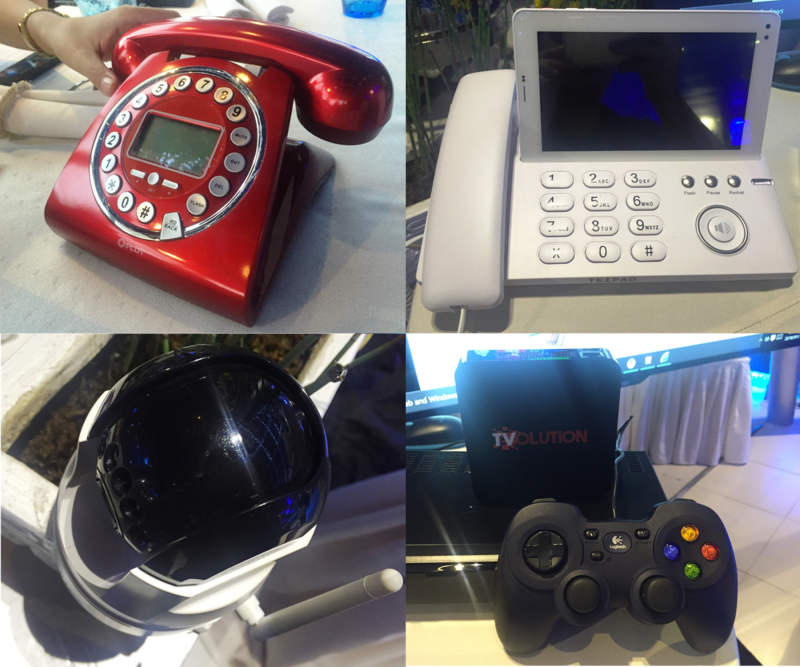 PLDT Home also has a wide range of devices in its portfolio. They started with Fam Cam which has been coupled with the TelPad in the recent years. 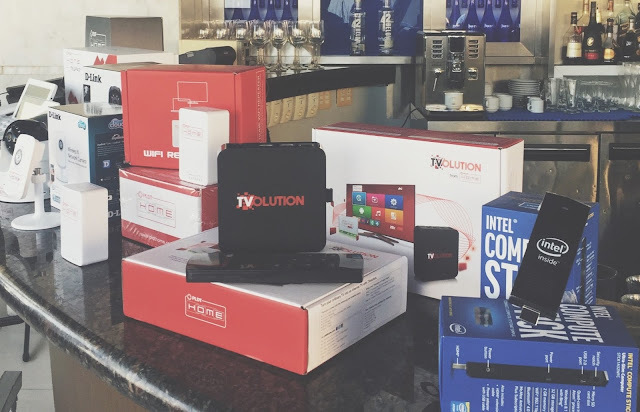 Now, they are offering the TVolution Stick in partnership with Intel. The latter is basically a Windows 8.1-based compute stick which instantly transforms your HDMI-capable TV or monitor into a full-fledged computing machine. Of course, the standard TVolution set top box is still there for Android loving fans.